On 1st December, we’re going to be joining in with #NickJrCraftmas over on Twitter from 1pm-3pm. You can come and join in with all the festive craft chat to get lots of ideas for kids craft activities to enjoy over the Christmas holidays and there will be lots of chances to win some great prizes too! 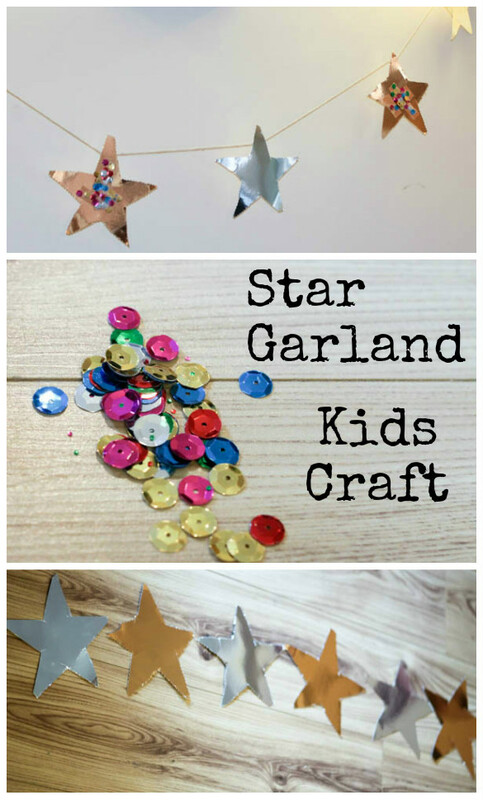 This is a great simple craft that can be done by one child or a whole group of children to make a much longer garland, to decorate a larger room or even a party hall. 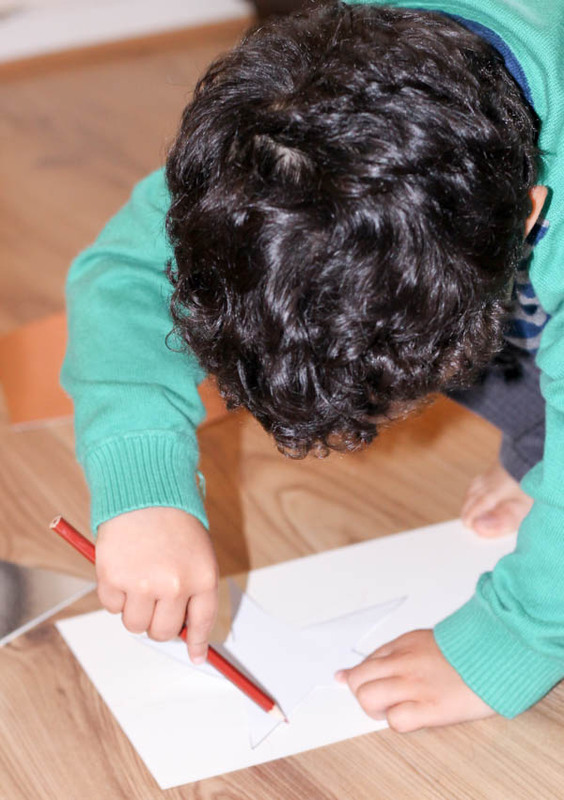 This craft is really simple but could be modified and has lots of potential for children to add their own personal stamp to it – which means that it works really well for all ages. 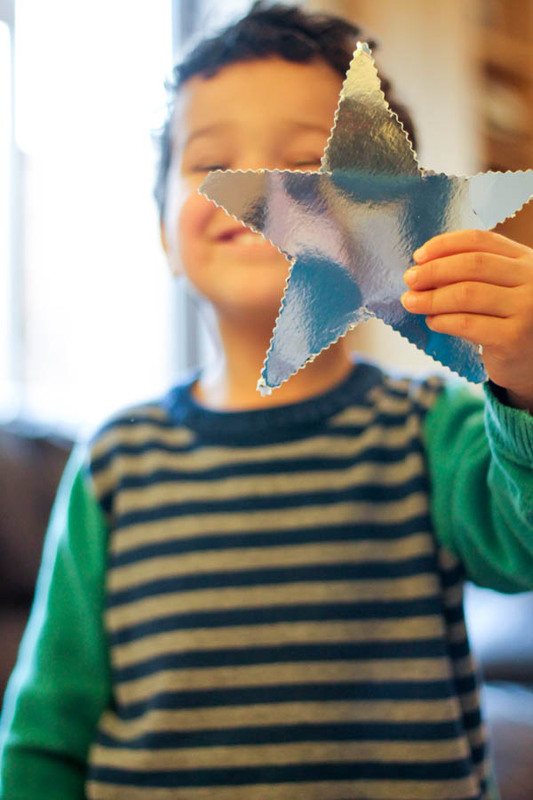 Draw around your star template on to the shiny card and cut out each star. Repeat as many times as needed. 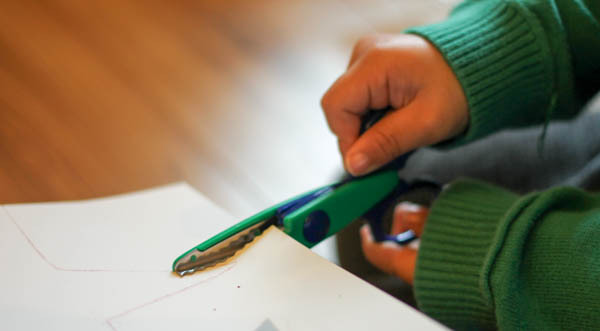 We decided to use crinkly scissors for some of the cutting. It gives a more interesting textured edge and with young children who are not the neatest cutters, it can be a little more forgiving of rough edges since they blend in more! If the stars do come out a little lop sided, not to worry it’s all part of their charm anyway! The handmade by a toddler look is always quite sweet! 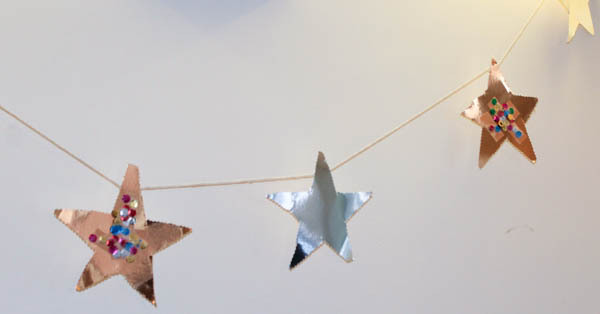 Once you have all your stars, set them out in whichever order you like – we alternated gold and silver. You can bring your basic maths into this and talk about patterns. 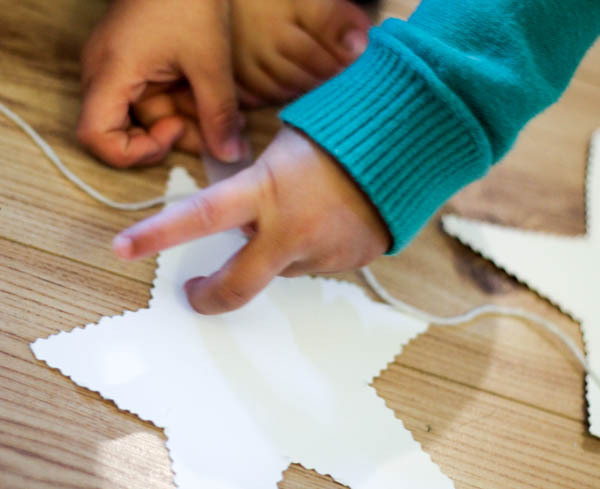 Turn each star over and measure out your string, allowing space in between each star and extra at the end to hang. Then tape the string on to the back of each star. This is very manageable even for young children and the tape held everything together nicely. We used invisible scotch tape, I cut each piece then passed to Mr R to stick. Next, you just need to decorate! 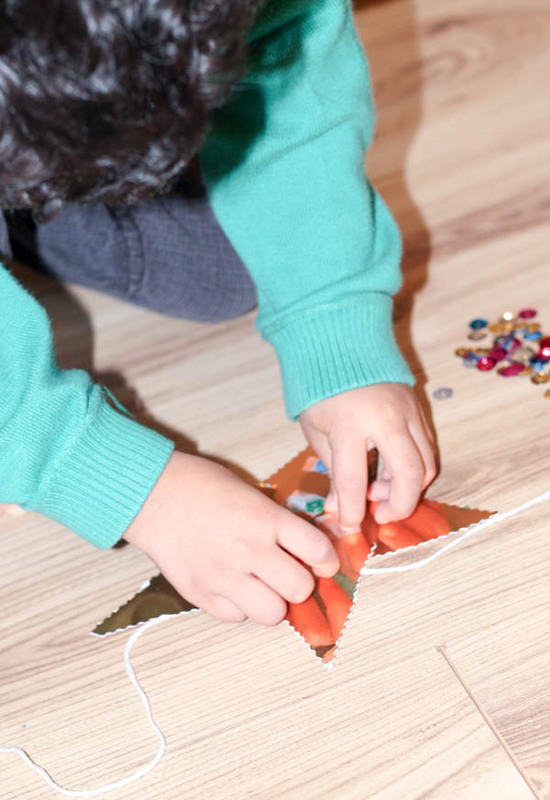 Sticking on the little sequins is great for fine motor skills. 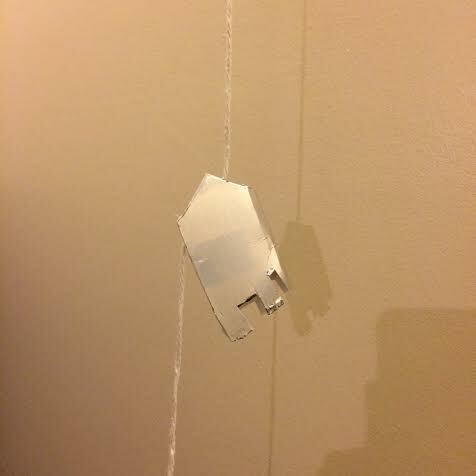 You might want to use glue for this, we stuck with the tape because my kids just love tape! So Mr R scattered his sequins on and then taped them into place. 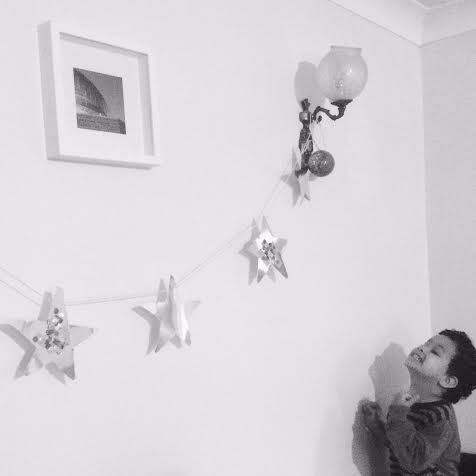 The star garland brightens up the room and gives an extra sparkle, and as always Mr R was very pleased with his work. We did this during school time, and once the other boys got back they wanted to add their own stars too. Mr T decided to add his own personal touch by making a shiny rocket to go at the end of the garland. The kids are all looking forward to our #NickJrCraftmas party were we will be making lots more fun kids crafts! And lots more crafts too! I’ll be sharing pictures live throughout the twitter party and then posting instructions for some of the crafts here on the blog a few days later. I hope to see lots of you there at the twitter party on 1st Dec at 1pm-3pm! The twitter party was great! We have learnt so much of crafts! Love the star garland! Look pretty!